Hi everyone! With my card today, I wanted to show you how the new Super set from Avery Elle makes a perfect window scene! I love how the cityscape stamp looks like stamped in white on black. 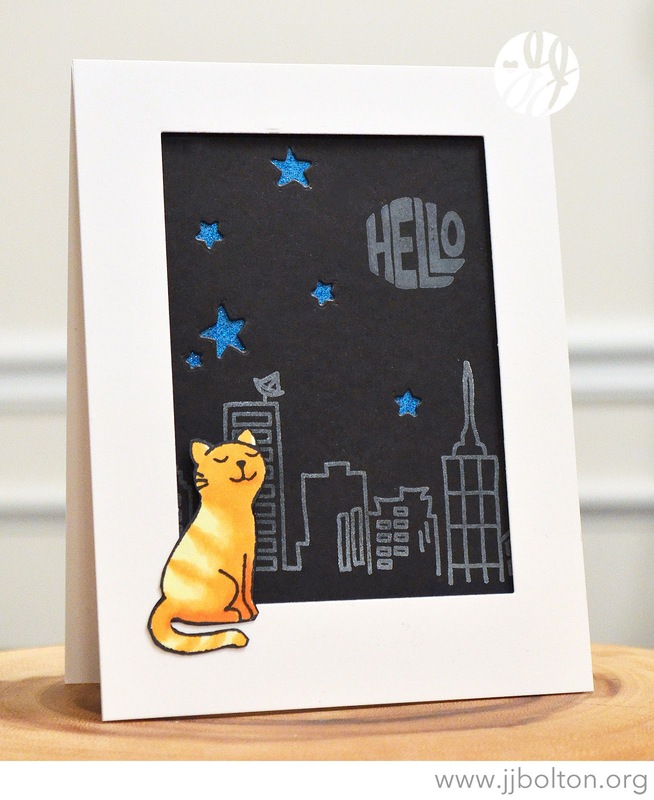 I just added some reverse cut stars (used the dies from the Finished Frame set) and a little Copic-colored kitten looking out over the city. Cute! I love the die cut stars with the sparkly paper in the back! I love that night time skyline! That cat looks so content there on the window sill! This is so cool!! I love the way you made the "window" and the cat peeking out into the night sky. FABULOUS design! !